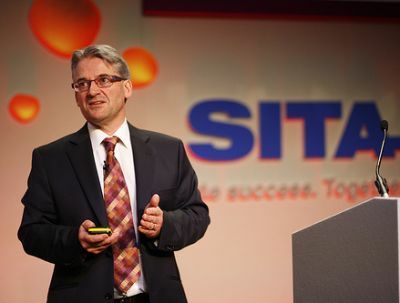 Now in its 14th year SITA’s IT Summit, together with Airline Business, last week brought together the airlines of the world to essentially discuss where IT is going in the scheduled aviation area. The annual survey looked back in retrospect what this component of air travel marketing has achieved in the last 12 months. There were over 300 attendees representing 200 airlines, airports and associated companies. The Dolce La Hulpe Hotel near Brussels hosted the occasion, the media based at the Chateau du Lac, a very pretty lakeside venue. Supporting the event was a small exhibition with displays by some of the high tech companies responsible for developing the ancillaries that are now an essential part of the air transport scene. Once again the cost host was Orange, SITA’s partner in this fast developing area. IT is moving on at a tremendous pace. The printed airline ticket is now something from the past. 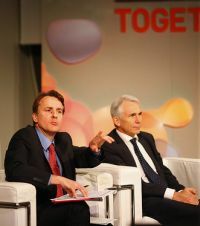 IATA has now met its target of eliminating what was a labour intensive operation. Mr Tyler explained that IATA’s next big jump is a project called NDC (new distribution capability) that is expected to bring the industry up-to-date with online retailers and revolutionise IT distribution. 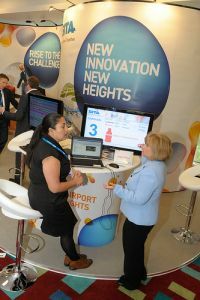 The foundation standard for the NDC will be presented at the World Passenger Symposium in October. “The GDSs and system providers have an important role to play in working with us to optimize this NDC and to take advantage of the opportunities it will offer the entire value chain”, Tyler said. With Quentin Browell, SITA Director PR and Corporate Communications, as moderator the IT survey itself was unveiled with social media topping the agenda. What was evident is that the current generation of top airline executives are having individual problems in adapting to the new force, although very aware of its implications. Bright as some of them are, like their predecessors learning about computers, social media can be a struggle. Nine out of ten airlines are investing in social media over the next three years. Some 57% of carriers believe this function can play a significant role in promoting sales with 39% stressing its value in customer service. Four out of ten promote flights via social media already, and almost 90% plan to do so by 2015. Both social media and mobile phones open the door for a more personalised service, and 78% of airlines in this year’s survey already have, or plan to, personalise sales offerings via their direct channels. Your Editor noted that in Atlanta, Delta has a small but expanding section dealing with social media as part of the passenger services department. In the area of sales and distribution, mobile has taken hold with more than half of airlines already selling tickets via mobile devices and by 2015, 89% of the airlines plan to do so. But the real transformation is not just in the area of sales, this year’s survey shows that airlines are using mobile apps right across the business. Half of the airlines have already implemented mobile services for flight search and check-in with close to half also providing boarding passes, ticket purchase and flight status notifications. Bag drop-off was one area of contention with Airline Business Publisher, Mark Pilling, saying that he never travels with a checked-in bag. He suggested that business people have vacated putting luggage in the aircraft hold. Thomas Knierim of SITA was not so sure. Perhaps a question could be put on the survey next year.